NBA Jam Tournament Edition SNES Super Nintendo Game Cartridge Cleaned Tested and Guaranteed to Work! I used to play this game back in the day, still a lot of fun and was a fair price. 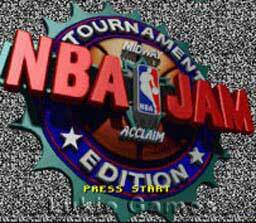 This game took me back to the days & nights where I would play sitting in front of my moms tv. Love the sounds and graphics! He’s on fire! The game arrived in a timely manner and works great. A definite must have for any retro gamer. cartridge works good. shipped on time. lets have a tournament! 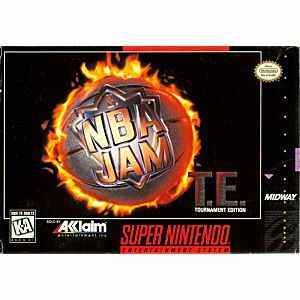 Great game, the best basketball game in the snes by far. Awesome game, love those 90's hidden characters too. game is dope especially when playing with a few friends, it can get intense. 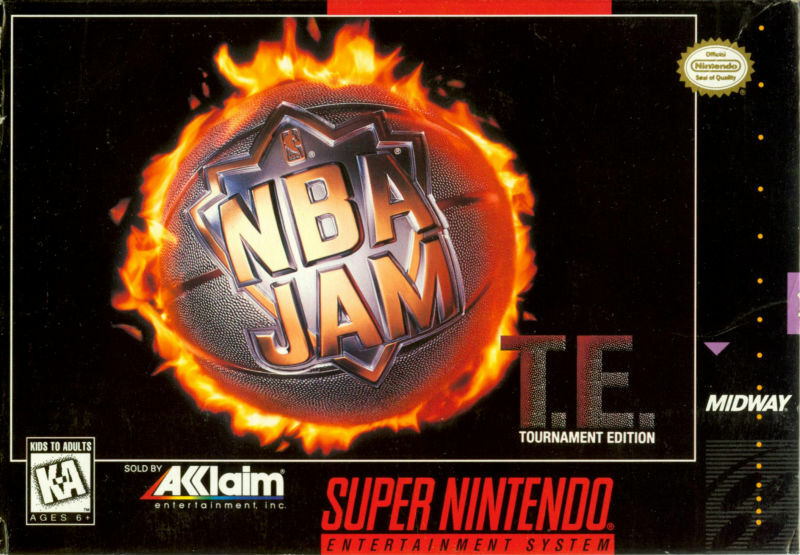 NBA jam tourny edition is an improvement from the original nba jam. you get more unlockable characters, attribute ratings for each stat such as 3s, dunking, power, etc. and you get more players on each team so its harder for one team to be stacked or better than another, although there are still weak teams and powerful teams in the game. Gamers tend to have a love/hate relationship with sports titles. They're usually released annually and as a result flood the market with year-after-year of barely different titles that typically only benefit from roster changes. 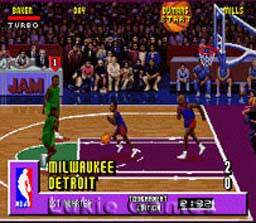 Good, unique sports games were hard to come by - and NBA Jam was one of those games. It had fast, fun gameplay - quirky hidden characters including Bill Clinton and the Beastie Boys. Was Tournament Edition a huge improvement? Well, no. But it added a few more quirky hidden characters and a few tweaks here and there and still ranks as one of the best sports titles for the SNES.